Crossing cultures to transform lives and communities among unreached, vulnerable, and forgotten peoples. The Bridge Church is focusing it's time, resources and energy in four areas around the world . . .
Muslim outreach through Gospel satellite programming. Restricted country. Underground Church. Security concerns for missionaries. Unreached people group. Missionaries Phil & Elin Henderson. Mwinika people. Unreached people group. Bible translation. Church planting. Partnership with Libre Infancia through Children's Hop Chest. 200 children are sponsored by members of The Bridge Church and other churches in the Venice community. Vulnerable. Extreme poverty. Child endangerment. Partnership with the village of Chibote through Hands at Work in Africa. Provides children with basic services: food, education, basic healthcare. Our partnership supports the local churches as they care for the most vulnerable children in the community. We insist that where God does not lead, we will not go. We rely on prayer to hear the heart of Jesus so that He can guide us to His endeavors, and to receive strength to overcome inhibitions in working cross-culturally. We will intentionally focus on the "less is more" model. We may have fewer missionaries, fewer projects and fewer trips than many churches, but we will give more, pray more and involve ourselves more deeply with those we feel God prompts us to partner with. Every follower of Christ is called to be ON MISSION. We will provide opportunities for participation in our Great Commission work and prepare a range of training and educational opportunities for all ages and all levels of experience. We will form partnerships that enhance our capability of applying the gifts, talents, and resources of the entire congregation. We will take risks for the gospel. Radical sacrifice must always overflow from a heart that is gripped by the gospel. We believe in a holistic approach to community developent that pursues a significant, lasting change in the people. In addition to enabling a community to meet its own basic needs, we will strive to promote a positive change in the whole of human life materially, socially, and/or spiritually. By transforming a community, it will in turn transform us. There is a place for everyone to be a part of missions at The Bridge Church. Pray for our Focus Areas and missionaries and ask God to do more than we can ever think, ask, or imagine! Learn about God's heart for the nations and the role you must play in this great endeavor. Look inside and commit your time, talent, and treasure to support our Focus Areas and their needs. Commit to taking a short-term trip with The Bridge Church or commit to surrendering to God's call for missions. Peru - Take God's Word, power & provision to youth and children. Zambia - Provide care for children in Chibote care point. Africa & Latin America - Equip indigenous churches and church leaders. The Dominican Republic - Providing basic needs and education for children. South Africa - Support to front line ministry caring for orphans and widows. Mexico - Sports ministry, one on one discipleship for children & youth, church planting. The Dominican Republic - Train pastors to help their congregations reach out to their community. Guatemala - Partner with Libre Infancia to care for children in extreme poverty. 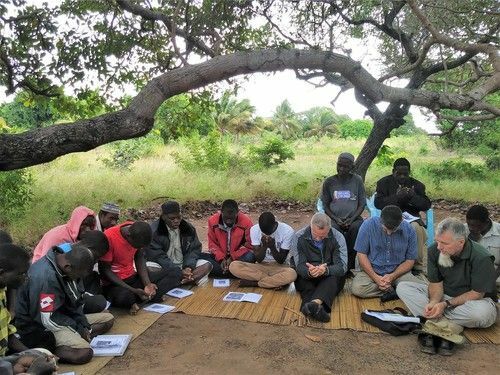 Mozambique - Bible translation and church planting among the Mwinika people. France - Christian Student Camps. Peru - Ministry to the Quechua people. Closed countries - Create Christian gospel programing for satellite distribution. Nationally - Discipleship with international students going to college in the US.